Is this offensive? It shouldn’t be. Here’s why. 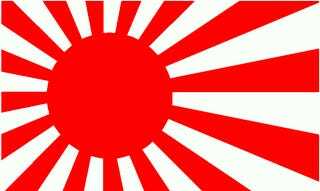 Despite the atrocities of World War II, the Rising Sun flag stretches back way before 1940 (the year Italy, Germany, and Japan formed the Tripartite pact). In fact, it stretches back to 1870. That’s a full 70 years of history before Japan’s involvement in World War II, and a full 61 years before the groundwork for Japan’s crimes against humanity was laid. Furthermore, despite the dark history surrounding World War II, because of the flag’s history before WWII, it is viewed as a symbol of tradition and good fortune, much like the Stars and Stripes is used in America. Why is this flag deemed more offensive than some western flags? Well, many people will tell you it’s because of the crimes against humanity committed by Japan during World War II. However, the track record of the west hasn’t been so squeaky clean, either. The human rights abuses in the Iraq and Afghanistan wars by coalition troops are shocking for the 21st century, and the treatment of Aboriginal people by Canada of all places, is atrocious. 6,000 children died in residential schools across Canada, the last of which was open until 1996. Only now is there being an investigation into 582 missing and murdered Canadian Aboriginal women and girls. We should take this flag with the same symbolism as the current Canadian flag. A symbol of history and good fortune, as opposed to a symbol of hate.